St. George Lycabettus Boutique Hotel, Athens. 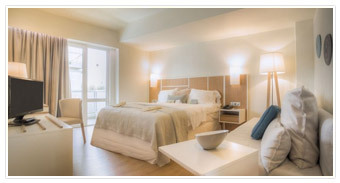 Located in Kolonaki, the St. George Lycabettus Boutique Hotel offers access to the most popular. and Lycabettus Hill are offered from each and every floor, even from the ground floor. The St George Lycabettus hotel is perfectly placed in the most exclusive district of Athens, Kolonaki with 154 individually decorated rooms and suites, all equipped for today’s leisure and business traveller. Each floor features its own design, and corridor exhibition of Greek culture and art. “Le Grand Balcon Rooftop ” our breakfast room and “La Suite Bar & Restaurant” offer breathtaking view of the Acropolis and Athens. anoramic views can be enjoyed from the private balconies of many of our comfortable, welcoming rooms. The many facilities we are delighted to offer include open-air roof top swimming pool with bar from May to October, spa, gym studio and underground valet parking.